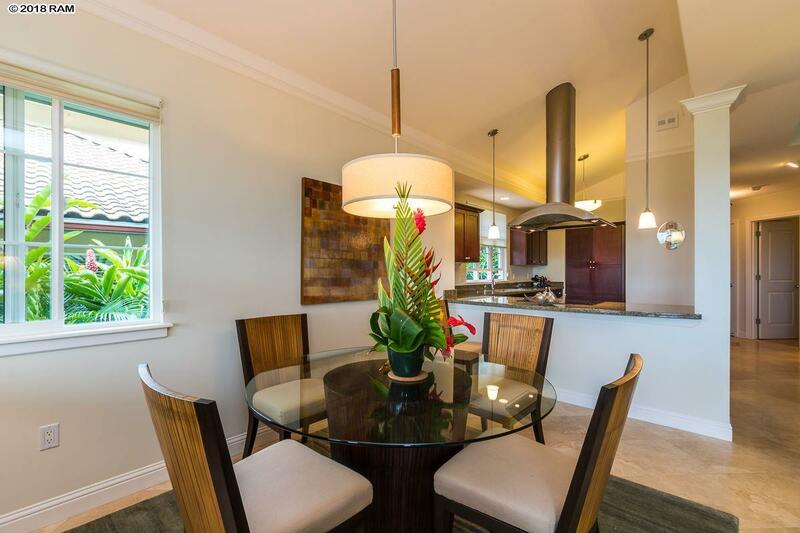 An opportunity to enjoy the best of Maui in Kai Malu from this ocean view 3 bedroom, 2.5 bathroom residence. 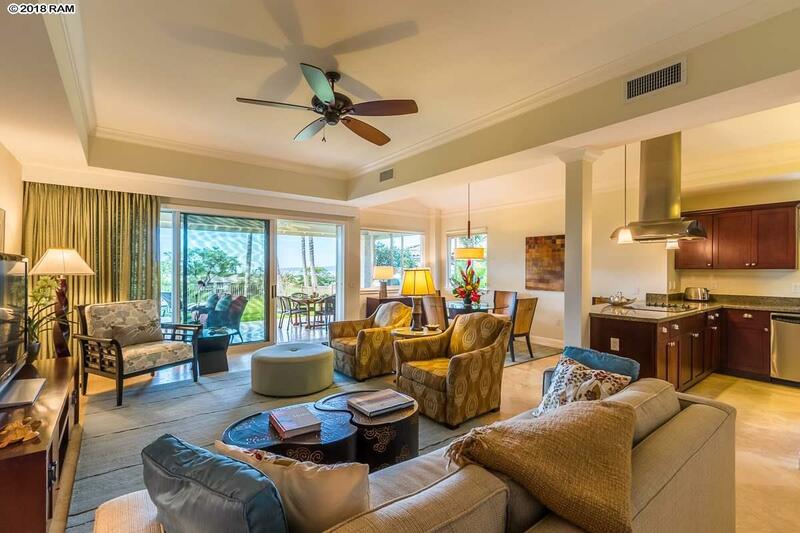 The outer Island Ocean views from the downstairs lanai, with a manicured lush lawn, and from the upstairs master suite, with its own private balcony, are memorable. Beautiful Travertine floors downstairs compliment the contemporary d'cor. Convenient for entertaining both outdoors and in. The lanai has a large dining table to seat 6 to 8, a stainless-steel Weber grill, a modern seating group, and 2 comfortable lounge chairs. There are GE Monogram/Profile and Kitchen Aide stainless-steel appliances in the kitchen with ample granite countertops and well-placed cabinets. The 3rd bedroom is convertible to an office or den. Island colors in art and fabric were selected for the fine home furnishings throughout; Full-size Maytag washer & dryer. Kai Malus Pool Pavilion includes a 70 infinity pool and Jacuzzi; fitness room, open kitchen with a spacious dining space, and sufficient lounge chairs for you and your guests. 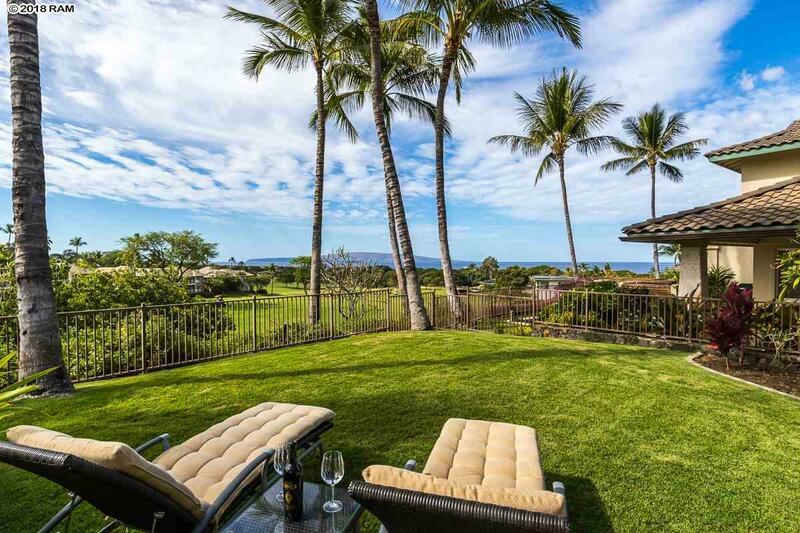 Gated for privacy; well-managed landscaping and an attentive property management team add to the desired features of ownership at Kai Malu. 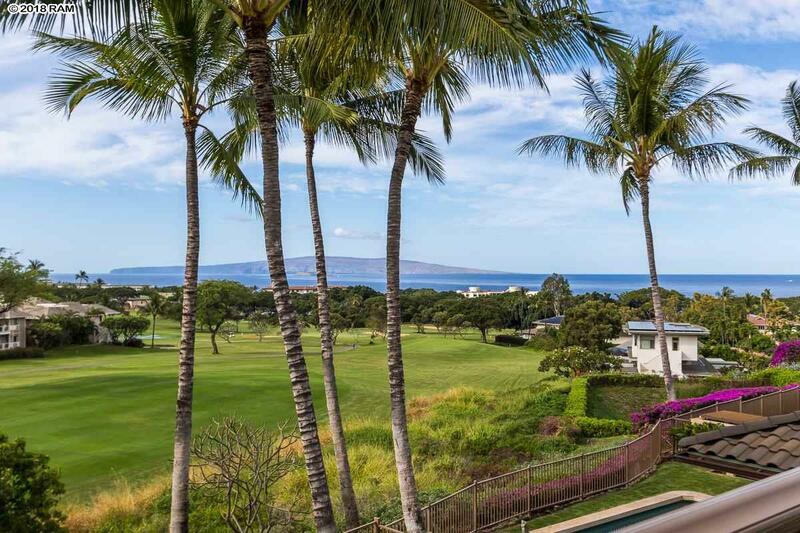 Located in the heart of the Wailea Resort: Convenient to world-class beaches, shopping, fine dining and championship golf courses.